After the death of Bishop Granier, who had procured his appointment as Coadjutor, he was consecrated Bishop, upon the 3rd day of December, 1602. In that office he was truly a burning and a shining light, showing all around a bright example of godliness, zeal for the discipline of the Church, ardent love of peace, tenderness to the poor, and, indeed, of all graces. For the greater ornament of God's worship he established a new Order of Nuns, which is named from the Visitation of the Blessed Virgin. These nuns follow the Rule of St Augustin, but Francis added thereto several additional constitutions distinguished by wisdom, prudence, and tenderness. He enlightened the Church by writings full of heavenly teaching, and pointing out a safe and simple road to Christian perfection. 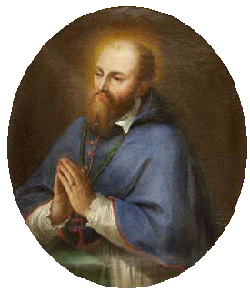 In the 55th year of his age, while on his way from France to Annecy, after saying mass at Lyons on the Feast of St John the Evangelist, he was seized with fatal illness, and on the next day passed from earth to heaven, in the year of our Lord 1622. His body was carried to Annecy and honorably buried in the Church of the nuns of the Visitation, where it soon began to be distinguished for miracles. The truth of these having been proved, the Supreme Pontiff, Alexander VII, enrolled his name among those of the Saints, and appointed for his Feast-day the 29th of January. And the Supreme Pontiff, Pius IX., on the advice of the Congregation of Sacred Rites, declared him a Doctor of the Universal Church. We all feel protected by Saint Francis who teaches us in a gentle but nevertheless effective way to be faithful children in the divine household. 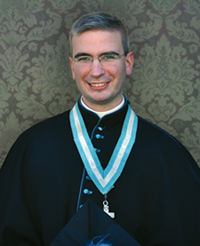 This coming Sunday, January 19, we will have the honor and joy to receive the visit of Canon Talarico, the Substitute for the Provincial Superior for the United States of America. Canon Talarico will celebrate the 10 AM Solemn High Mass and preach in both Masses (8AM and 10AM). 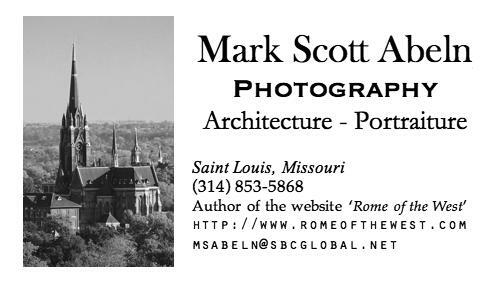 Please come and visit with Canon Talarico after Mass in the basement of the church during coffee hour. 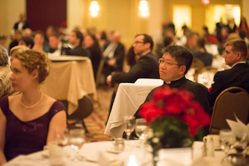 The Gaudete Gala was a fabulous Advent festivity to start the new Church year. 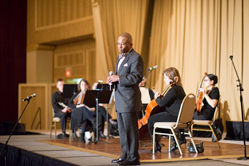 Having outgrown the Oratory Hall, where the Gala began in 2011, this third annual event was hosted at a new venue this year: The Millennium Hotel in Downtown St. Louis. 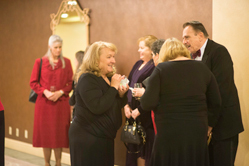 Braving the biting cold on one of December’s snow-covered evenings, 170-plus guests found a warm, inviting atmosphere even before they reached the grand ballroom. With refreshments in hand and lively conversations the guests greeted one another, perused the offerings of the Silent Auction, and waited with high expectations. 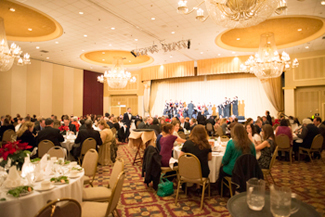 The elegantly decorated dinner tables inside the ballroom promised another memorable Gala. 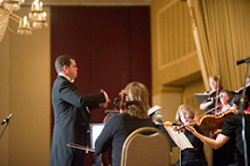 At 7:00 pm, with Vivaldi’s Concerto in D minor for 2 oboes, the magical evening began. For the next two hours, well-executed choral and instrumental pieces were interspersed with courses of a delicious dinner. 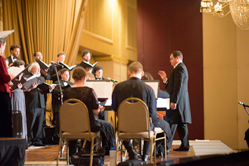 Under the direction of the Oratory’s Music Director, Mr. Nick Botkins, the choirs and musicians presented to the awed guests the wonderful fruits of their work, normally fused to the Sacred Liturgy. For this special evening, the repertoire included a wide selection of classics by master composers of the past and present. Just before the dessert course was served with a lovely rendition of Palestrina’s Alma Redemptoris Mater, Mr. Kevin Allen, a renowned contemporary composer of sacred music, stepped on stage to give a moving tribute and strongly urged the audience to support the Sacred Music Program of the Oratory. The evening ended with Gruber’s poignant Silent Night, sung by the choirs and the entire assembly, impressing all with a gentle refrain, “… heavenly hosts sing alleluia, Christ the Savior is born. Christ the Savior is born!” as they headed out to await Christmas. 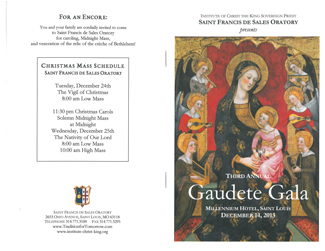 The Oratory is very grateful to everyone who participated in the third annual Gaudete Gala in support the Sacred Music Program. In particular, we wish to thank all who made the evening a wonderful success, particularly Mr. and Mrs. Greg Merlo (the MC and the organizer of the evening), and Mr. Nick Botkins, whose tireless work was responsible for the impressive presentation by the Oratory’s choirs. 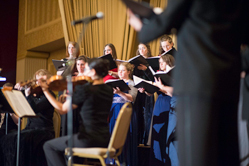 Mrs. Starr Plato, a recent convert to the Catholic Church and the wife of a long-time member of the Oratory, wrote this beautiful piece about the need of especially the young faithful for the mystery and beauty of the classical liturgy. 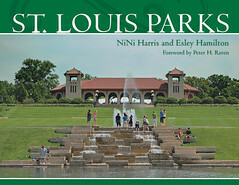 We thank Starr Plato for her excellent work and invite you to read this text as one of the many fruits of God’s graces so abundantly available here at the Oratory of the Institute of Christ the King in St. Louis. Why do Catholic youth need the Extraordinary Form of the Mass? I would argue that young people have a special need for the Liturgy to reflect as nearly as possible the reality of what is taking place in the Mass. For a glimpse of what the Liturgy really is, we should look to the book of Revelation. There are battles, blood, hosts in white, incense, angels, Heavenly hymns, pits of fire, wings, swords, moon and stars… Heaven opens up, almost dream-like, and grants us a glimpse of the eternal Liturgy, the timeless worship of God. This is what the Mass ushers us into—the drama of reality itself, which draws its source and reaches its summit in the worship of the Lamb. 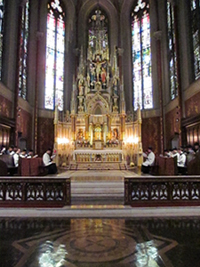 The Extraordinary Form of the Mass, which we celebrate at St. Francis de Sales, offers a unique opportunity for us to experience the kind of majestic Liturgy that unites us with the worship of Heaven. For those who may not know, the Extraordinary Form of the Mass is the traditional Latin Mass—the Mass of the Roman Church for most of its history prior to the liturgical reforms following Vatican II. I’ve been very blessed as a recent Catholic convert to be able to attend the Extraordinary Form of the Mass celebrated here and to enjoy all of its spiritual blessings. Let me describe what Mass is like at St. Francis de Sales. From the moment you enter this Church, the darkness and coolness of the old stone architecture, the hushed silence, and the soaring vaulted ceiling make you feel small, give you the sense of becoming diminished before the presence of something greater than yourself. This is where every experience of Mass should start—with this sensation of smallness before the Divine. The Mass begins with the deep and soberly beautiful swell of the pipe organ, and as the Crucifix passes by, all the people in the pews fall to one knee before it. The sight is extremely moving. It gives one the sense that something most solemn and sacred is beginning, so much so that it has caused my breath more than once to catch in my throat. As the procession reaches the front of the Church, all the men and boys genuflect before the altar and then part off to either side of the Sanctuary. 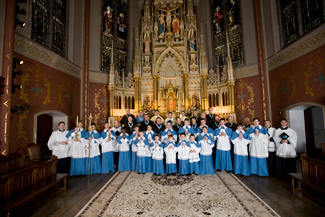 The priest and the deacons, clad in ornate robes, kneel before the altar and the priest intones the ancient prayer, the “Asperges”, which is then taken up and sung in Gregorian chant by the choir. 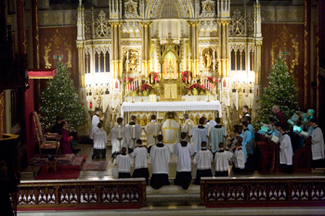 After this the Mass begins in earnest, and is full of haunting chant sung by the choir, by the smell of incense, the sound of silence, by many actions of bowing and kneeling that express great devotion and reverence. The Liturgy is entirely in Latin, giving it a beauty and solemnity, as well as its listeners a space and distance for interior prayer and contemplation. Each action of the Liturgy seems to flow almost dance-like with the music of the chant and its own internal rhythm—never rushed or hurried, but gracefully timed and solemnly enacted. The climax of the Mass is the elevation of the Eucharist, during which the bells are rung and everyone bows their heads and strikes their breasts. 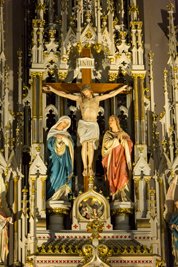 Everything is oriented away from the people and towards the great Crucifix at the front of the Church. The Eucharist is lifted up towards God, with all kneeling behind in adoration. It is a Liturgy so beautiful and compelling that I am often struck by the thought that if only everyone could experience the Mass in this way they would know that the Eucharist is the only thing that matters in life and death, on earth and in Heaven. Here the Mass bears a striking resemblance to the worship of the slain Lamb, He of the shining wounds who is adored on the throne of Heaven in the book of Revelation. An experience of Mass like this is what we should wish for our Catholic youth today most ardently. For young people to grow in a faith that is truly alive and will last for a lifetime, they deeply need the Church’s Liturgy to be as beautiful and majestic and exalted as it can be. Liturgy celebrated in this way communicates more powerfully than any other medium the power, holiness and grandeur of God—the only kind of God that people of any age can truly worship and adore. Here at St. Francis de Sales the Mass is as a small, glowing opening of holiness where the eternal, Heavenly Liturgy shines through in all its glory. The Mass celebrated under the Extraordinary Form meets the deep, spiritual needs of our young people in an unparalleled way. 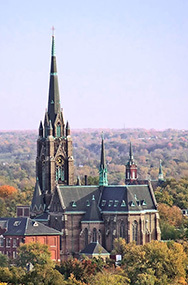 The National Catholic Register recently published an article about St. Francis de Sales Oratory, titled “Sacred Space in ‘Gateway to the West’”. Here we publish the link to this interesting piece in its online version.